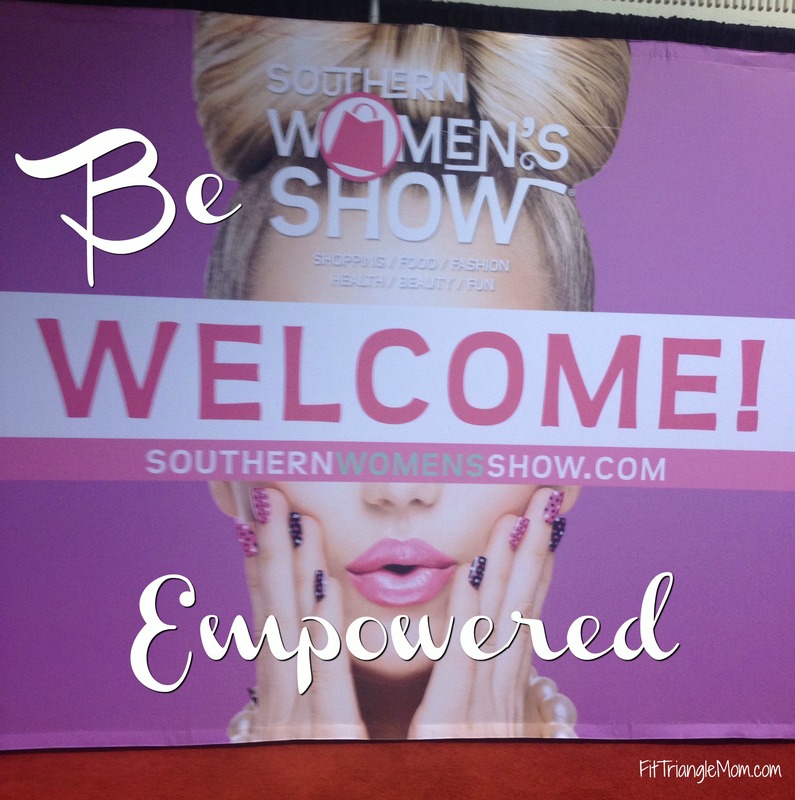 We can’t make it to all the events that come to our town, but you can still feel empowered by two stand out vendors that were at the Southern Women’s Show. InterAct and AR Workshop are located in Raleigh! The Southern Women’s Show always amazes me with how they transform the Jim Graham building into a red carpet shopping event. The Jim Graham building hosts many special events throughout the year, but the one that stands out most in mind is the NC State Fair. You can usually find the livestock in this building and sectioned off with make-shift fences. Hay and manure smells linger in the air and many of us non farm folks might walk quickly through this exhibit. The transformation of the Jim Graham building reminds me of many of the women that attend the show. Take a look behind their immaculate makeup, matching accessories and stylish sunglasses, and you might find a black eyed and hurt woman. Whether she’s been physically beaten or emotionally scarred; she deserves a chance to be rescued and empowered. It’s not a guess that an abused woman will be at the show, but a sad fact that 1 in 3 women have been abused by a partner. Abuse doesn’t discriminate; you can find it in the affluent neighborhoods of Raleigh to the manufactured housing parks. InterAct is the only provider of domestic violence and sexual assault services in Wake County, NC. This private, non-profit organization works to save, rebuild and secure victims all while ending the cycle of abuse. InterAct has been apart of the Southern Women’s Show for 4 years. 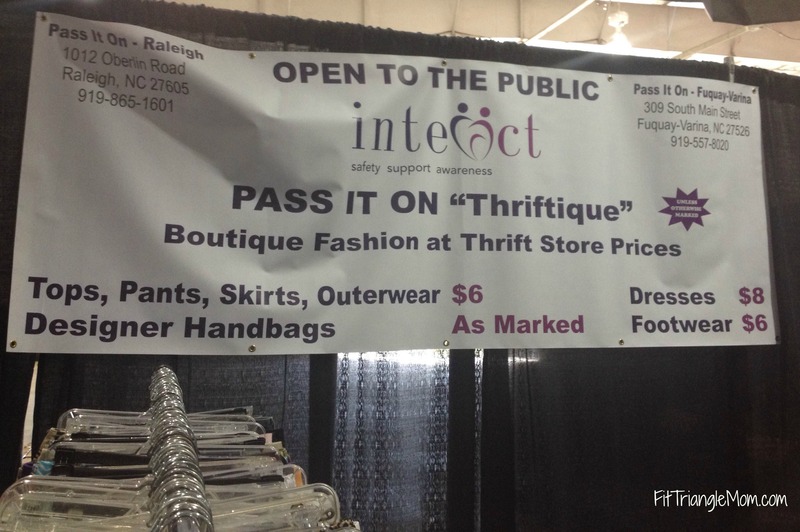 They set-up a thrift store similar to their Pass It On shops that provide clothing for victims as well as raise money for their services. All of their stores and even the one at the show offer trained crisis counselors to speak with victims. InterAct seeks to help victims where they are through several services– a 24-hour crisis hotline, a Solace Center– a sexual assault forensic examination center, a 45-bed residential program, court advocacy, and several other outreach programs. InterAct serves nearly 200 people a month with a full and part time staff of 50. They rely heavily on volunteers and donations. Wake County, NC police estimate that between 40-60% of all calls they receive, especially on the night shift, are domestic dispute. Our community is hurting, and regardless if we choose to look behind stylish sunglasses, we need to support InterAct. Shop the Pass It On shops, give a donation or volunteer, .90 cents of every $1 donated goes to the programs that support victims. Now that we’ve learned how we can help victims of abuse; we can empower them and ourselves. Kasey Wright the owner of the AR Workshop Raleigh believes women feel empowered when they visit her wood design and home decor workshop. It happened to Kasey, a busy mom of 3, when she left her medical sales job to start her own business, an unknown venture at the time. The Raleigh AR Workshop was the third location opened, and now they are located in over 10 states. 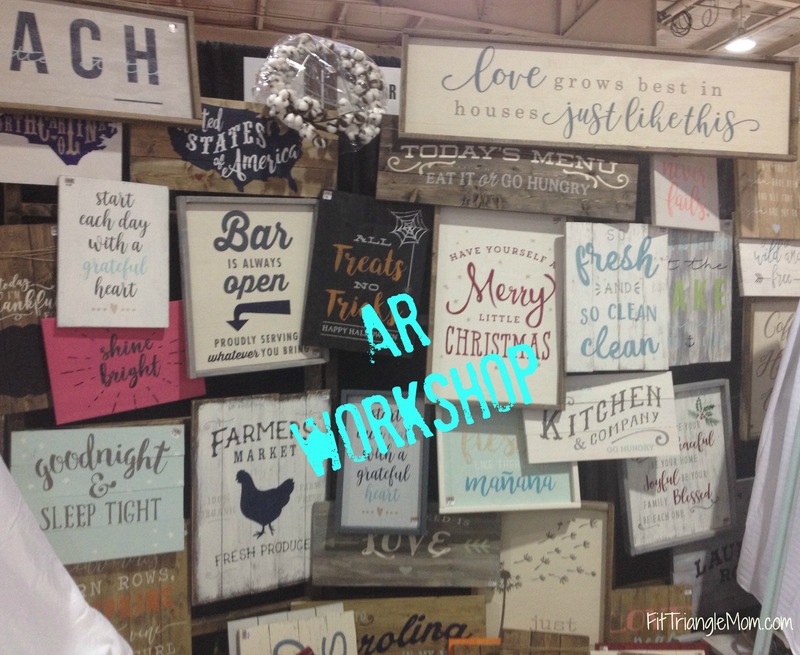 You can visit the AR Workshop booth at the Southern Women’s show, and purchase some items from the retail side of the store or you can register for a class to make your own masterpiece. You don’t have to be crafty; you just have to be willing to try! Workshops are guided by instructors and step-by-step instructions. You will choose your design, color and stain. You even get to use power tools. You will build a customized product from scratch, and it will look amazing! Feel empowered? Workshops can be for individuals, birthday parties, showers, or a girls night. You can find InterAct and AR Workshop everyday at their Raleigh locations. What a great post. I hated to not be able to attend but it is fun to see what everyone who went got to see and experience! Thanks ! Thanks. 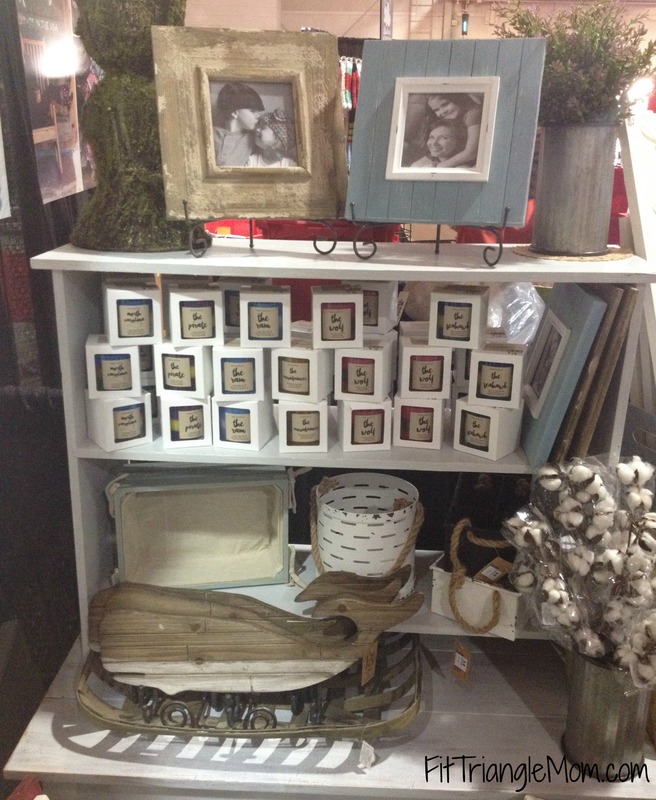 The Southern Women’s Show is a lot of fun, but it’s nice to know that many vendors are located in Raleigh. As a person that was in an abusive relationship when I was in my late teen’s and early 20’s I can tell you firsthand that it is scary and you feel like you cannot get away. Anything we can to to help women feel like they have a place to go or a way out is so important. I wasn’t able to go to the show, but it looks like y’all had a great time! I’m sorry you had to experience an abusive relationship. I like that their Pass It On shops have trained crisis counselors. It makes it easier to seek help at a store than a counseling center.